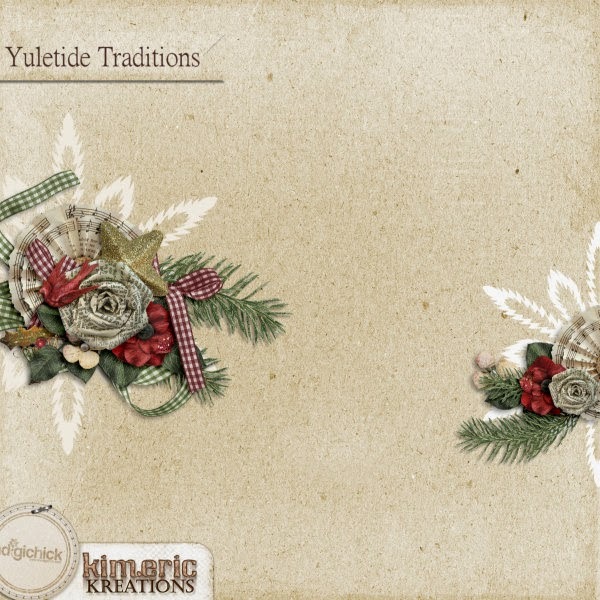 kimeric kreations: Yuletide Traditions page cluster! Better late than never, right? Got busy around here! So..without further ado - I have a gorgeous page cluster that Jenni made to share with you using last weeks release, Yuletide Traditions. It's made for a 12.x 12 page, and goes great with one of the templates in Yuletide Memories! Beautiful kit and love the freebie. thank you so much. Thank very much.Love your work.